At the start of the month we found out a closed test for the upcoming MOBA, Arena of Valor, would soon be available to Switch owners in both North America and Europe. Tencent Games has now locked in the exact dates, with the beta running for two weeks from 28th June to 12th July. It's also been revealed participants will receive an exclusive in-game skin for Krixi, who is one of the most popular mages in the game. Since a separate closed beta earlier this year in Europe, the developer has implemented several graphical and UI changes based on player feedback. To participate in the action, click the link in the embedded tweet to be taken to a short survey. Tell us in the comments if you are interested in participating in the upcoming closed beta for Arena of Valor. Probably among the least inspired MOBAs out there, but it'll still be interesting to see how they pull off the controls. As a genre first on the system, it will inevitably set an example of either how to do it, or how definetely not to do it. @Pod they did fine, the only issue is with aiming reticule for AoE aimed skills. It’s generally more reliable, as far as controls go, than the mobile version. Also, this is a VERY good MOBA, basically made by the guys who made LoL and with more than 200 million players in China alone. Pretty neat for one of the less inspired MOBAs on the market. A'ight, sounds cool. Can I see it in action anywhere? With the controls on top, I mean? Also, as a graphics guy, I'm only really talking visual designs when I say inspiration, and I don't know what chinese people like. The graphics are certainly very well done on the technical side, so if the gameplay really holds its own, I ain't got nothing on these guys. Paladins has opened me up to games like this and I totally wasn’t before really. Hope I get picked! Still haven't gotten my email yet. Really hope Im part of this - would love to try the game out. Applied for the beta a couple days ago via IGN's link for it. Never played a MOBA before so I'm pretty curious how fun "the most popular game in the world" is. Trying my best not to miss demos and betas on Switch. Fortnite is fun, not amazing, so I'll keep it around and not dump money onto it. @Pod well, i get what you mean and indeed the character design is kinda generic. Regarding controls, i guess your only option is to try enlisting for the beta. I got in the first one, and although i’m already a player of the mobile version, i think they are kinda generous with invites. Closed betas are fine and all, but have fun trying to get that skin if you like the game and character if you don't get picked. 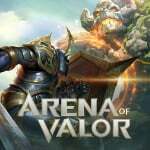 I never realized the LoL had the same publishers (Tencent) as Arena of Valor, different developers though. Have they announced if the Switch version will feature crossplay with mobile devices? @Bliquid Hey any news on cross play and progression? Just asking since you said you tested it out and you did play the Mobile version. Well, we're 2 days away so I'm beginning to think NONE of us are getting picked lol. Created a NintendoLife account just to say to check your emails as I just received my Beta invite. I got one as well, YAY! @magnumc500 What do you think so far? I'm really enjoying it, I'm thinking I am really starting to like this kind of thing. Paladins may have ruined my life lol. @Fake-E-Lee It's really good. I hope It has cross progression and play so my kid can play from android and I can be on switch. Right on, yeah...really dig it so far!